It’s as simple as following thousand year old traditions with the ingredients you already have in your kitchen! But I guarantee you that you do THIS once a week and you WILL look 10 years younger in no time! This recipe comes to us from Japan, and has been used by women for thousands of years. There’s a reason why Japanese women look so young, even in their oldest days! The secret? RICE. Rice is loaded with healthy nutrients such as linoleic acid and squalene, which are very powerful antixodiants and promote collagen production. This in turn reduces and prevents the formation of wrinkles and fine lines. Bring your rice to a boil with 1 cup of water. Let it simmer for 3 minutes. Remove from heat, and let cool for a couple of minutes. Strain the water from your rice, but make sure to keep the rice water and store in a jar in the fridge. 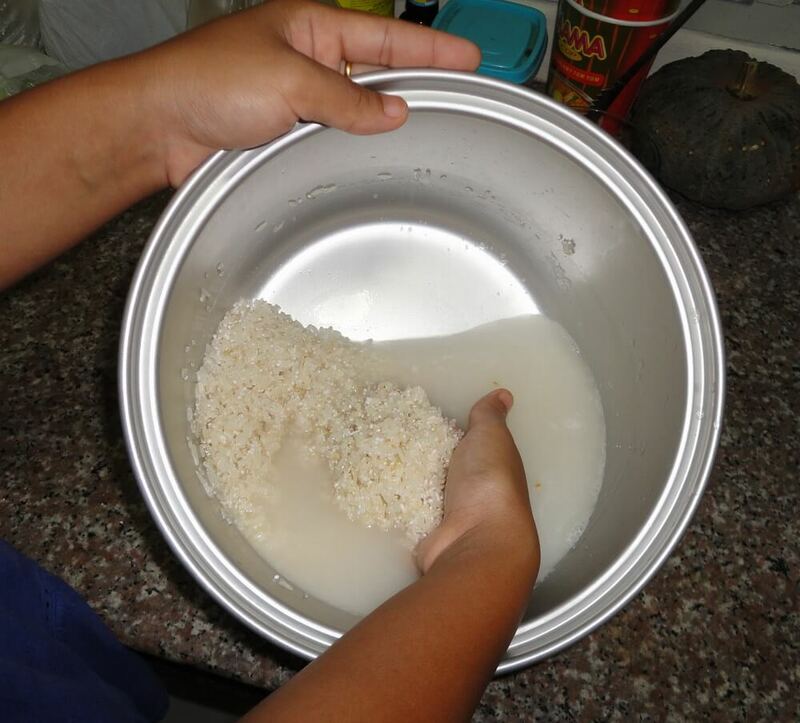 Mix the boiled rice with 1 tbsp honey and 1 tbsp milk until it forms a paste. Massage the paste in slow, circular motions for a minute or two and then leave on for 15 minutes. Using a cotton ball, apply the rice water onto your face like a toner. You can use the rice water every night before bed to tighten the skin and get rid of dark circles. There you have it! A super easy and doable youthful mask that you should use once a week and I swear you’ll see results almost immediately! If you enjoyed this post of looking 10 years younger, don’t forget to share and leave a comment below ?